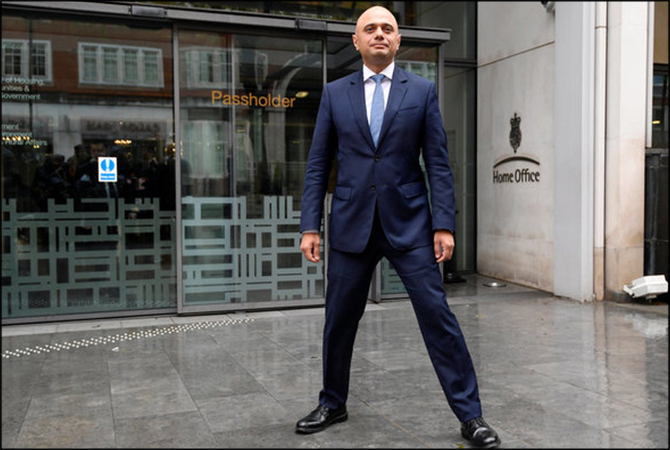 LONDON: British Prime Minister Theresa May has appointed Pakistani-origin Sajid Javid as the country’s new home secretary, following Amber Rudd’s resignation as the United Kingdom’s home minister. Sajid Javid is a Member of Parliament (MP) from Bromsgrove, and was previously the Secretary of State for housing, communities and local government. Javid is the first minority politician to hold one of Britain’s four top government jobs. He is the son of a Pakistani bus driver who immigrated to the UK in the 1960s, BBC reported.